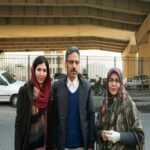 Human Rights Activists News Agency (HRANA) – Abdolfattah Soltani, imprisoned human rights lawyer and activist, was granted temporary release from Tehran’s Evin Prison today to attend the funeral of his 27-year-old daughter, Homa Soltani, who died suddenly on August 3, 2018, from a heart attack. A group of political and civil rights activists visited Mr Soltani’s home to convey their condolences to him and his family. Abdolfatath Soltani is serving his seventh year of a ten-year prison sentence. During his incarceration, poor prison conditions, malnutrition, and lack of access to clean water led to various health problems for Mr Soltani including a broken tooth, psychological stress, irregular blood pressure, anaemia, and acute nervous colitis (nervous colon syndrome). His previous request for conditional release had been denied, and his appeals for a new hearing were ignored by the Iranian authorities. Mr Soltani was arrested on September 10, 2011, and was subsequently sentenced to 18 years in prison and barred from practicing law for 20 years for accepting the International Nuremberg Human Rights Award in 2009, conducting interviews with media regarding his clients [who were mostly human rights, civil rights, student and political activists], and being a founding member of Defenders of Human Rights Centre. His sentence was eventually reduced by an appeals court to a 10-year prison term and a 2-year ban from practising law. HRANA News Agency – Abdolfattah Soltani, lawyer and political prisoner in ward 350 of Evin prison, was sent to furlough unexpectedly and attended his mother’s fortieth day of mourning on June 26. HRANA News Agency – On June 7, 2016, Abdolfattah Soltani, lawyer and political prisoner in ward 350 of Evin prison returned to prison by the end of his furlough. HRANA News Agency – Abdolfattah Soltani, imprisoned lawyer was transferred to the prison clinic by the emergency by tingling and severe heart pounding on May 3, 2016. HRANA News Agency – Abdolfattah Soltani, imprisoned lawyer returned to Evin Prison by the end of his furlough. Founding member of the Association of Defenders of Human Rights has been sent to furlough after more than 4 years for first time on 17th January. HRANA News Agency – Abdolfattah Soltani, imprisoned lawyer was sent to furlough. HRANA News Agency – Abdolfattah Soltani, an imprisoned lawyer and founding member of the Association of Defenders of Human Rights, despite numerous legal conditions for his release from prison, due to authorities’ sabotage has been denied from his legal and human rights. 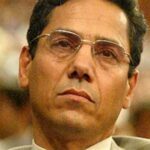 HRANA News Agency – Abdolfattah Soltani was transferred to prison clinic due to hypotension and heart complications, but in contrast with recommendation of the physicians regarding his need for chocardiography, he was sent back to the ward. 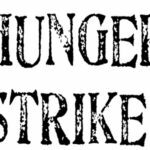 HRANA News Agency – Davar Hosseini Vojdan’s mother goes on hunger strike in solidarity with political prisoners.